Hard cider is not just a new hip drink, it’s been a go-to brew in New York State since the 1770s. The story goes that Rip Van Winkle’s downing of a keg of hard cider led to his 100-year snooze. 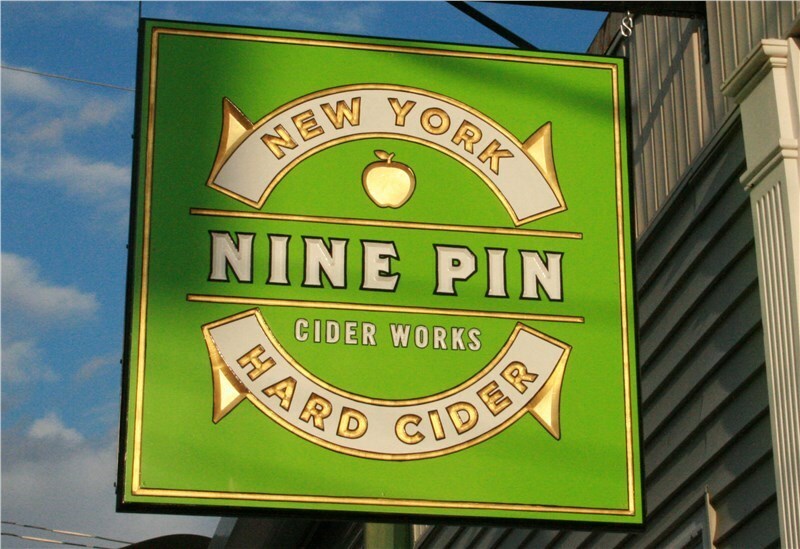 Nine Pin Ciderworks is a New York craft cider company based in Downtown Albany. They source all their apples from Capital Region and Hudson Valley orchards to ensure an entirely local and high quality product. 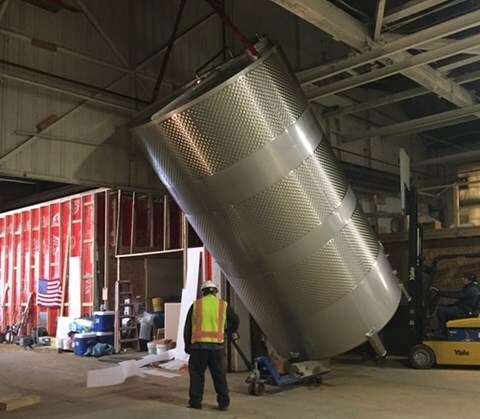 So it made perfect sense that when Nine Pin Cider wanted to expand their capacity with seven 20’ tall new tanks for the ciderworks, they turned to Arnoff Global Logistics, family owned and operated for five generations, with a large operation in Downtown Albany. Bill Cavanaugh, Jr. who managed the operation for Arnoff, said, “The stainless steel tanks each weighed nearly 4,000lbs and had to be transported to the site on flatbed trailers laying on their side. 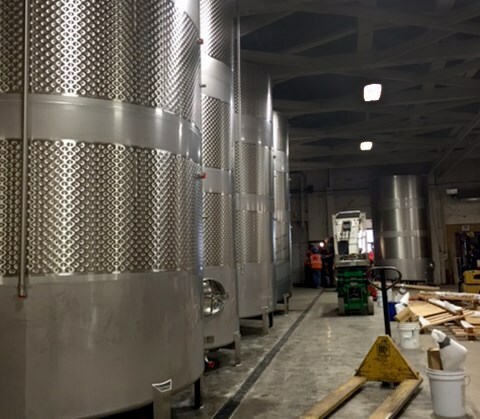 Once they arrived they had to be moved from the trucks in to the facility, stood up and positioned carefully.” They entire process took 2 long days to complete, but the folks at Nine Pin Cider produced a time lapse video (shown below) that makes it look quick and easy. 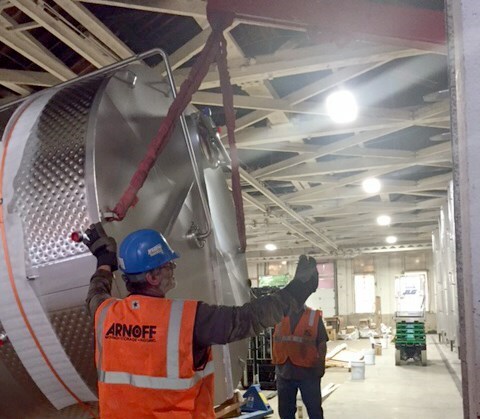 Like all Arnoff Global Logistics projects, the trick to keeping the rigging, moving and placing in position of large or sensitive equipment is all in the planning. Arnoff has a detailed planning process and can construct any rigging needed ahead of time so every step in the process is thought out in advance.